Job Opening: Japanese Studies, University of Hong Kong | What can I do with a B.A. in Japanese Studies? Founded in 1911, the University of Hong Kong is committed to the highest international standards of excellence in teaching and research, and has been at the international forefront of academic scholarship for many years. The University has a comprehensive range of study programmes and research disciplines spread across 10 faculties and over 140 academic departments and institutes/centres. There are over 27,800 undergraduate and postgraduate students who are recruited globally, and more than 2,000 members of academic staff coming from 50 countries, many of whom are internationally renowned. Applications are invited for appointment as Tenure-Track Assistant Professor in Japanese Studies in the School of Modern Languages and Cultures, to commence on August 1, 2015 or as soon as possible thereafter, on a three-year fixed-term basis, with the possibility of renewal. An appointee with demonstrated performance will be considered for tenure towards the end of the second three-year contract. 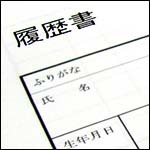 Applicants should possess native or near-native fluency in Japanese and English, and should have obtained a Ph.D. degree by the date of appointment. Specialisations within the discipline of Japanese Studies are open. Preference will be given to candidates who complement the research strengths of our department. The appointee is expected to possess an excellent research agenda, to develop an innovative research-led teaching profile, to excel in student mentorship and postgraduate supervision, and to participate in administration. He/She should have an energetic and engaging personality for propelling the program to new heights. The University and the Hong Kong Research Grants Council provide substantial competitive funding for research projects of many kinds. Teaching development grants are also available to assist with the development of innovative undergraduate courses. Information about the School can be obtained athttp://www.japanese.hku.hk/. Enquiries about the post should be sent to Professor Stephen Chu (e-mail:sywchu@hku.hk). A globally competitive remuneration package commensurate with qualifications and experience will be offered, as well as annual leave and medical benefits. At current rates, salaries tax does not exceed 15% of gross income. The appointment will attract a contract-end gratuity and University contribution to a retirement benefits scheme, totalling up to 15% of basic salary. Housing benefits will be provided as applicable. The University thanks applicants for their interest, but advises that only shortlisted applicants will be notified of the application result. This entry was posted in announcements, job openings, jobs and tagged assistant professor, Hong Kong, japanese studies, job opening, tenure track, University of Hong Kong. Bookmark the permalink.